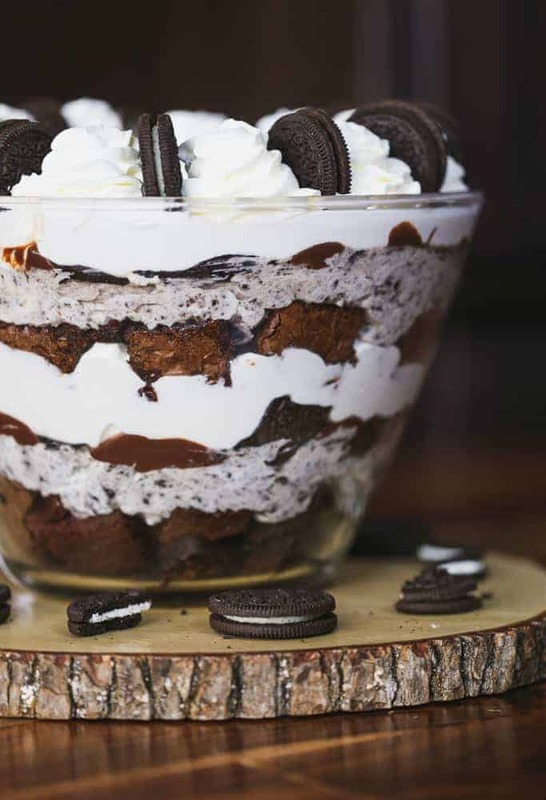 This stunning trifle is jam-packed with everybody’s favorite oreo cookies, rich chocolate ganache, cocoa fudgy brownies, fluffy oreo cheesecake and creamy, fluffy luscious layers of whipped cream. It’s pure Oreo chocolate brownie heaven. I am in love with brownies…and these are amazing! You can use boxed as well, but home-made brownies…*sigh* I am in love with brownies…what can I say? The kids loved the Oreos on the top and dipped them in the whipped cream, while the rest of it was dreamily devoured by adults. It’s a fun dessert! I had debated if I should put 1/2 cookies or whole ones on top, and I definitely made the right choice. Go whole Oreos! YUM! 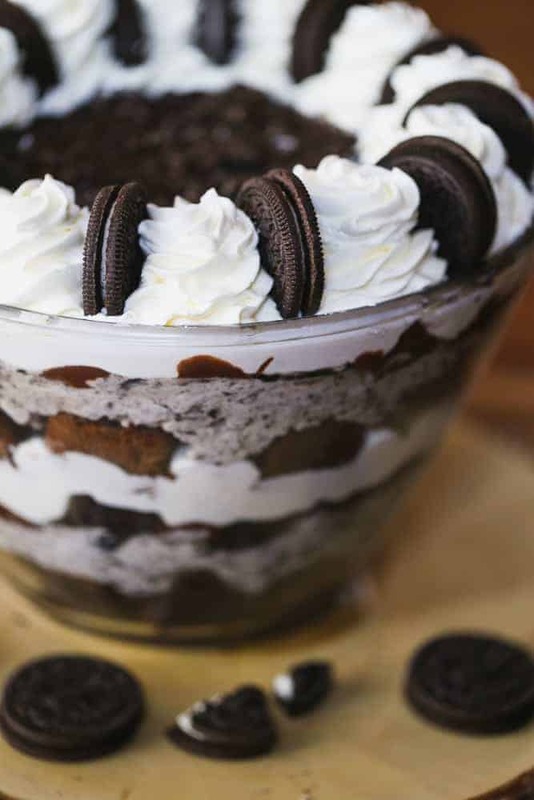 So, there are Oreos galore in this dessert. 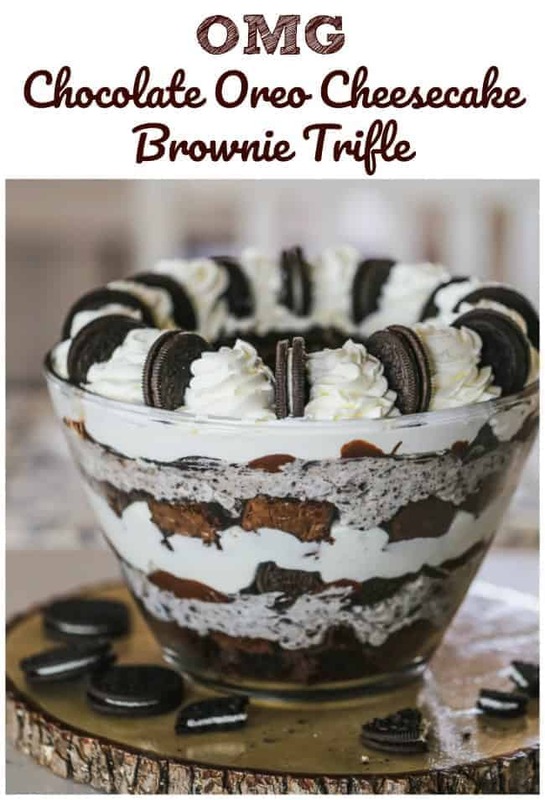 Oreo bits in the cheesecake, crumbles on top of the trifle, whole cookies in between the whipped cream swirls on top and broken-up Oreos sandwiched between a river of chocolate ganache and yummy brownies bites. Some people say never! What do you say? BTW…This dessert is addicting. I think it’s better, even a day or two later. I think it’s because the Oreos are more softened. I hope you try it! 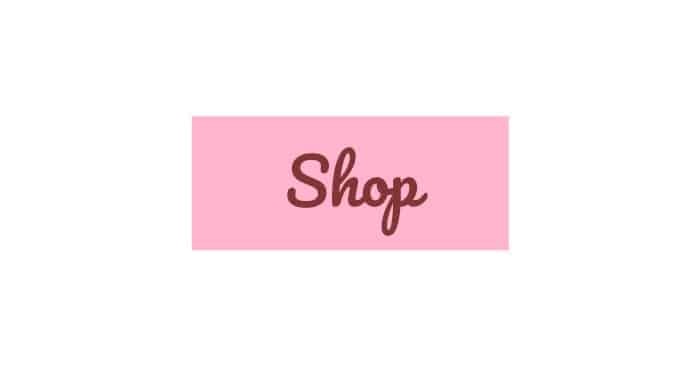 It’s perfect for every holiday and special event you could ever think of. 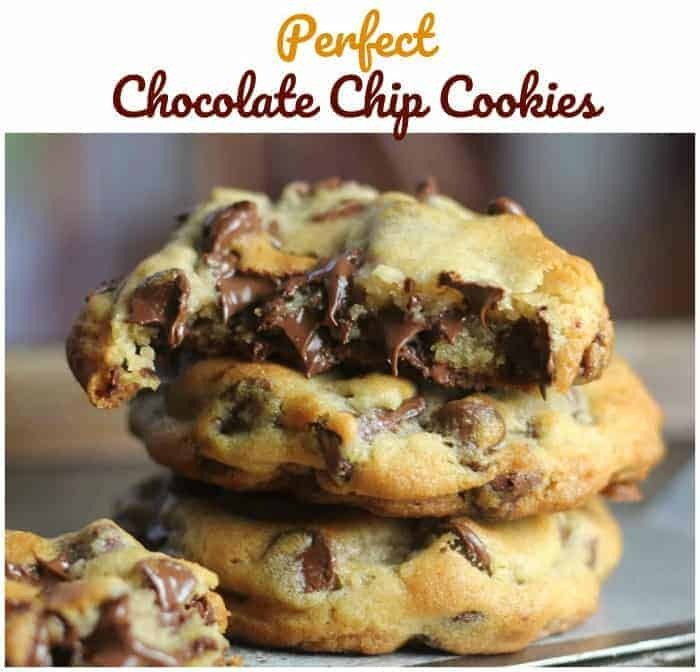 Change the cookies up for different flavor options for different seasons. Fun, right? Trifle Tip: To show off the layers using a straight-sided glass dish is best. If you do not have a trifle dish, get creative, Use a glass bowl or make individual trifles in wine glasses, tumblers, or jam jars. 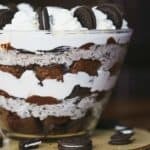 This stunning trifle is jam-packed with everybody's favorite oreo cookies, rich chocolate ganache, cocoa fudgy brownies, fluffy oreo cheesecake and creamy, fluffy luscious layers of whipped cream. Preheat oven to 350°F Spray 9×13 inch baking pan with non-stick spray, set aside or line with parchment paper, using a little spray to hold the parchment paper down. 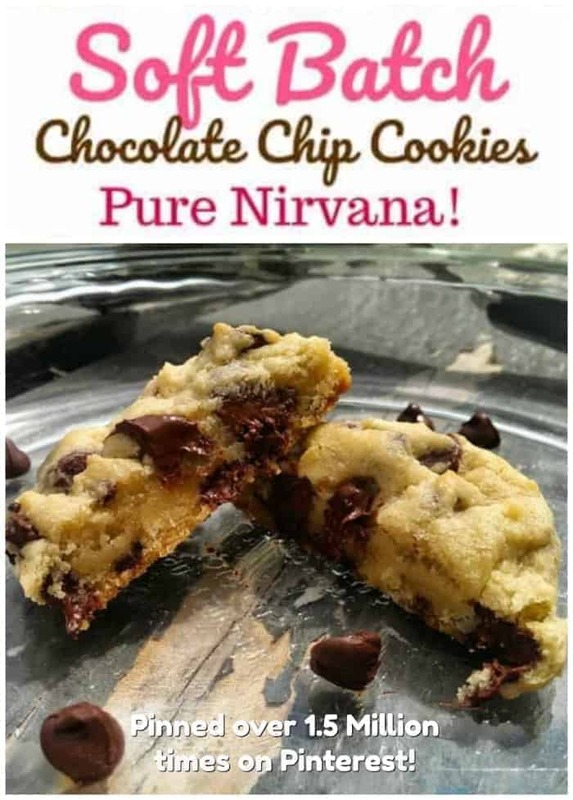 Combine 1 1/2 cups flour, 3/4 cup cocoa, 1/2 teaspoon baking powder and 1/2 teaspoon salt in a medium bowl and whisk together, set aside. 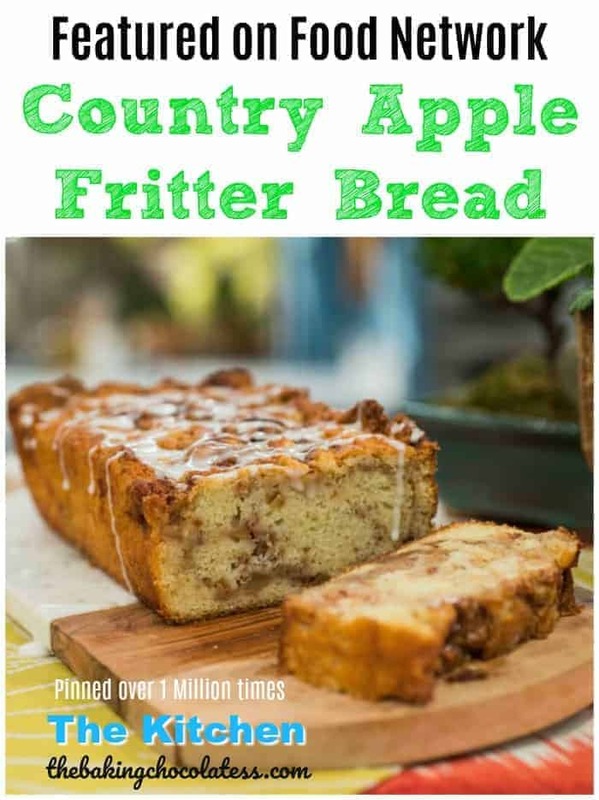 Using a mixer, in a large bowl, beat together the 1 & 1/2 cups butter, 2 cups sugar and 1 teaspoon vanilla extract in a large bowl until mixed well. Add in 4 eggs and mix until well combined. Add the dry ingredients to the egg mixture and mix until well combined. Bake for 20-25 minutes, or until a toothpick comes out with a few moist crumbs. Set aside to cool. Using mixer, in a medium mixing bowl, mix 2-8 oz of softened cream cheese and 2/3 cup powdered sugar together until well combined and smooth. Add in 3 tablespoons whipping cream and 1 teaspoon vanilla extract and mix until well combined. Using mixer, in another bowl, add 1 cup heavy whipping cream and 1/2 cup powdered sugar to make the whipped cream. Beat on high speed until stiff peaks form. Fold the whipped cream into the cream cheese mixture until combined. Add the Oreo crumbs to the mixture and gently fold until well combined. Add 2 cups of heavy whipping cream, 1 cup powdered sugar to a large mixer bowl. Beat on high speed until stiff peaks form. 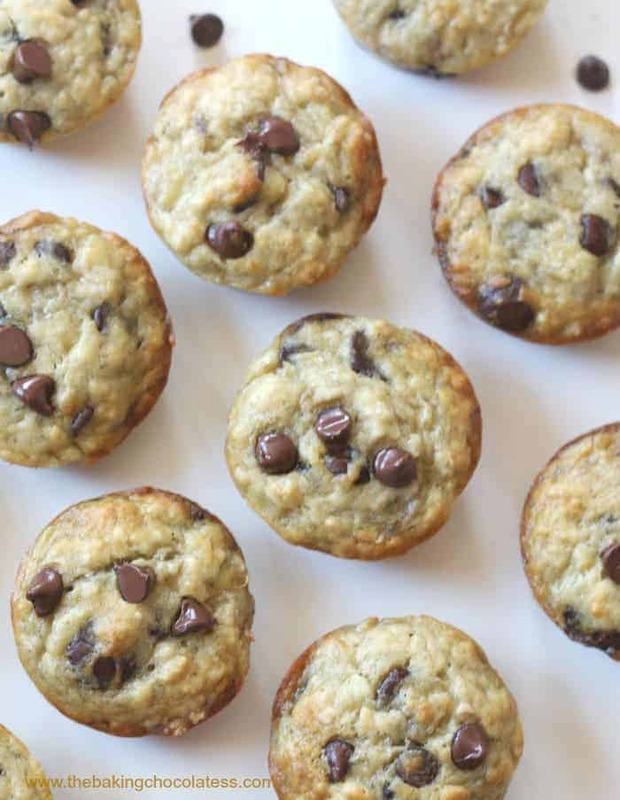 Melt 1 & 1/2 cups of chocolate chips in microwave in 20 second increments, mixing each time in between, until melted. (1 ½ - 2 minutes) Add in 1/3 to 1/2 cup whipping cream and mix until smooth and creamy, set aside. 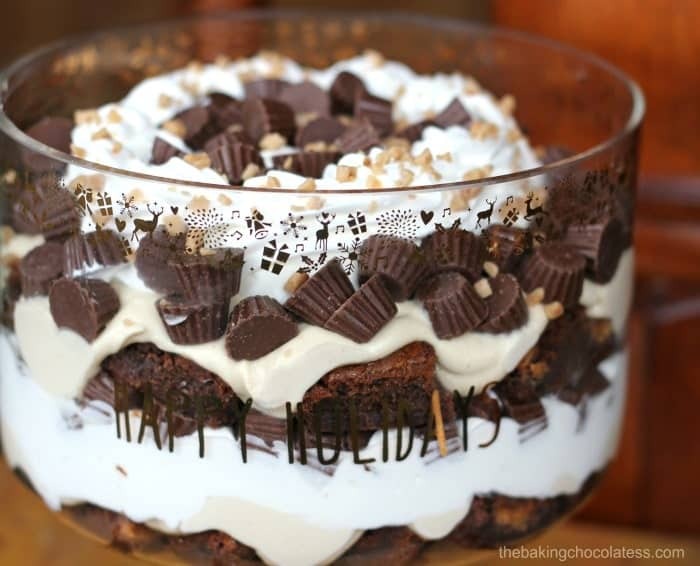 Cut the brownies into 1 to 1 ½ inch squares and add about half of the brownie pieces to the bottom of the trifle dish. Add about half of the cheesecake filling in an even layer on top of the brownies. 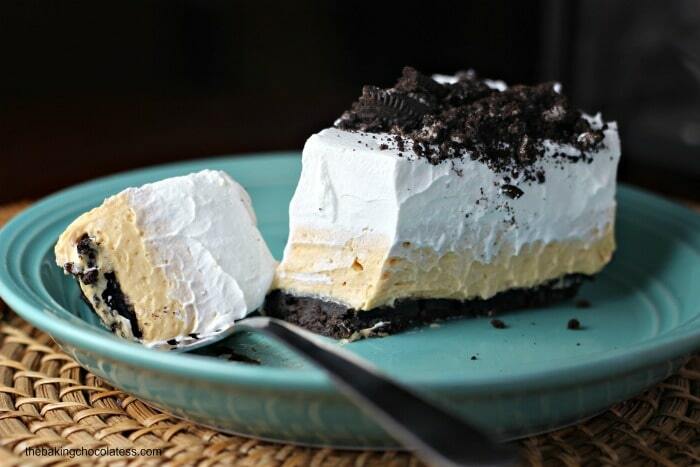 Add about half of the broken oreos on top of the cheesecake filling. 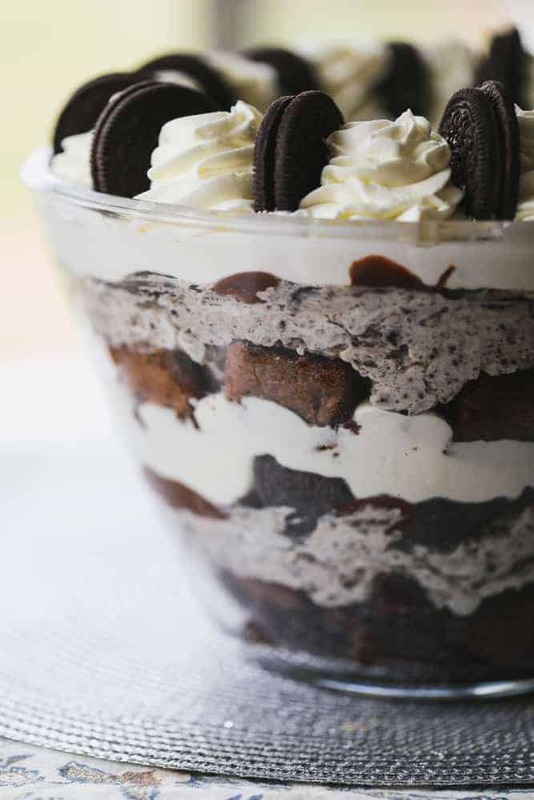 Add about half of the chocolate ganache by spooning over the broken oreos. 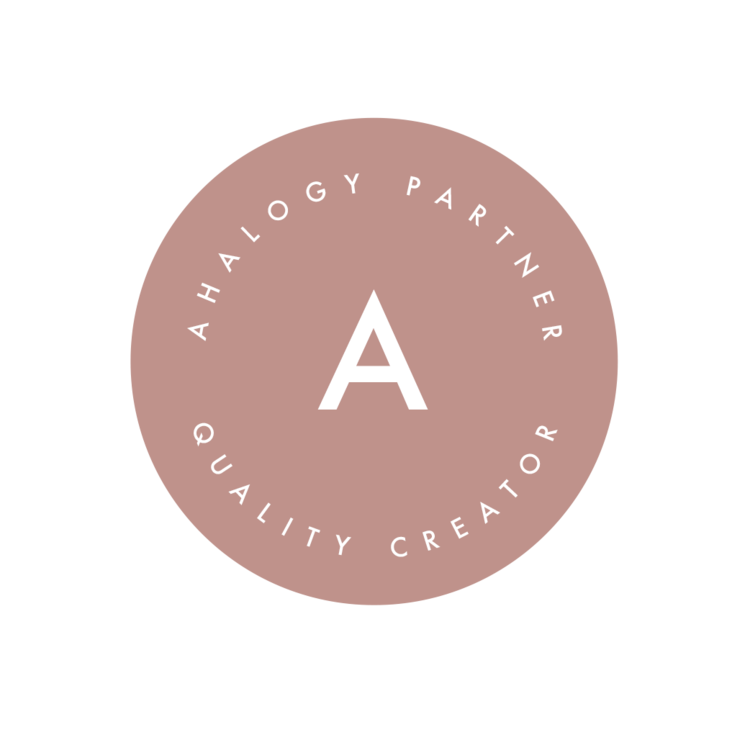 Repeat layers with remaining layers in same order. 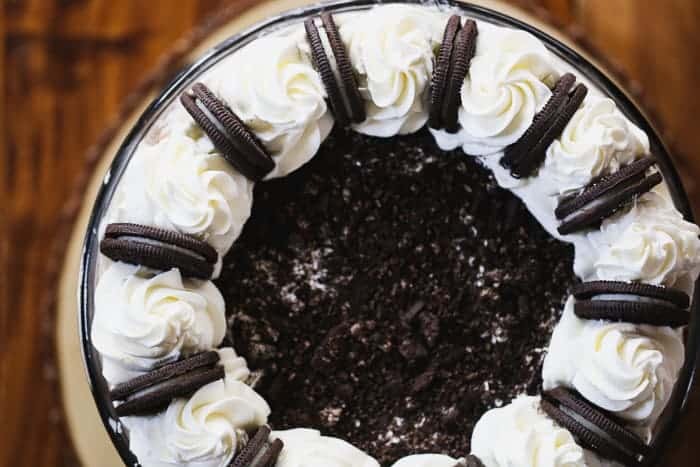 On top of the whipped cream, add some oreo crumbles to the top of the whipped cream. Using a mixer, add 1 cup of heavy whipping cream, 1/2 cup of powdered sugar and 1 teaspoon of vanilla extract to a medium sized mixing bowl. Beat on high speed until stiff peaks form. 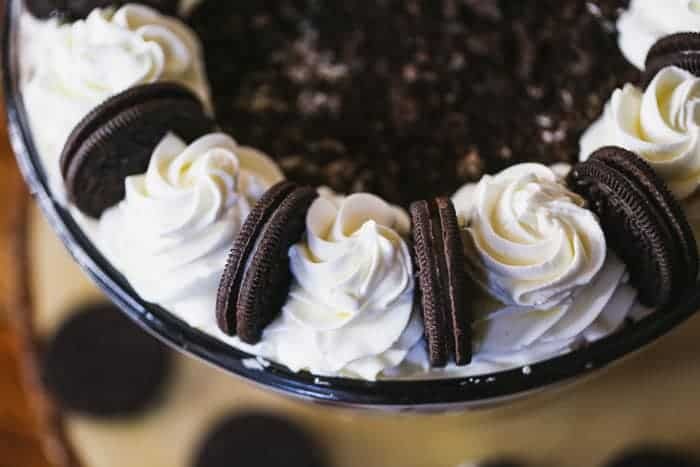 Using a piping bag with a large star tip, fill the bag with the whipped cream and pipe big swirls of whipped cream around edges of trifle bowl. 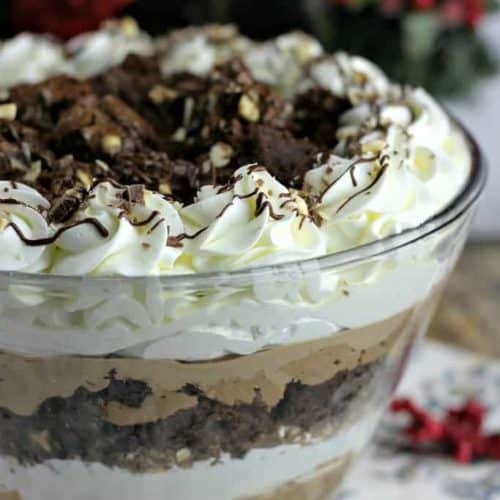 Refrigerate trifle until ready to serve. 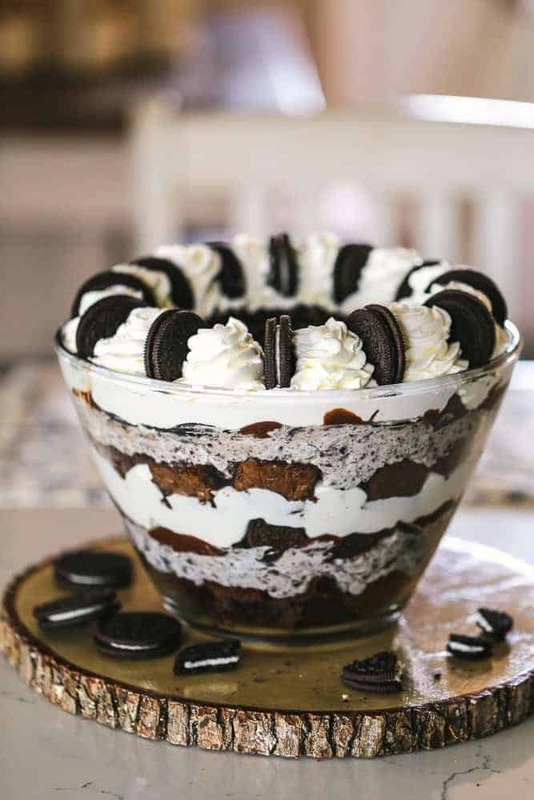 Add Oreo cookies in between each of the swirls when ready to serve. 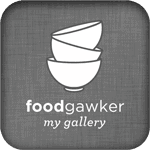 Trifle is best overnight in fridge and served next day. Trifle can be covered for up to 3-4 days. Kim! This is beautiful! And, I totally agree, never enough Oreos! Why are they so good? And with cheesecake? And whipped cream? And BROWNIES? Heaven! This looked like the perfect Holiday treat! It definitely is Laura! Thanks so much! !